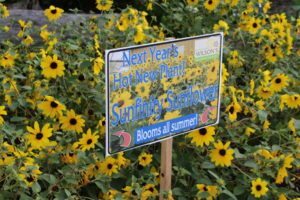 Get tips on educating and entertaining customers from Tagawa Gardens in Centennial, Colorado. See Lindsay at her sessions during Cultivate'17 in Columbus, Ohio, July 15-18. Children watch with rapt attention near the stage. Families crowd the aisles. Young couples lean against plant benches filled with shapely pumpkins and showy rudbeckia. Guests of all ages reach for their phones, waiting for the Malayan Flying Fox with its 6-foot wingspan to come near. As an international bat expert picks a footpath through over 350 garden center guests, the magnificent megabat clings inverted to his glove, peering quizzically at an eager audience with intelligent, bulbous eyes. Our guests stare back breathlessly, their perspective of bats changed, the truth about a crucial mammal reclaimed. A moment like this begins with a mindset. 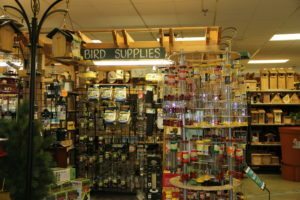 As an independent, family-owned garden center, the Tagawa family has made community the cornerstone of its 35-year-old business. Upon opening its doors in 1982, Tagawa Gardens featured its first Mother’s Day Spring Open House as a thank you to the community. A year later, a summer beach event with tropical plants and exotic foliage landed on the calendar. Soon, with resident mascot Grey Kitty already part of the greenhouse culture, Grey Kitty Birthday & Pet Rescue Event expressed our deep care for neglected pets waiting for loving homes. Lively cultural events and a summer concert series featuring local talent soon followed. While family-friendly events expanded, Tagawa Gardens also desired to position itself as a community educational resource. In 1992, our newsletter featured an early handful of classes; in 1993, staff scrambled to set up extra chairs for a xeriscape class during a drought. Twenty-five years later, we offer over 130 classes throughout the year — and are still setting up extra chairs! The vast majority of our classes and stage shows are entirely free. From a diverse array of practical gardening and innovative landscaping classes to gourd art and vegan cooking classes, native plant walks, and hands-on workshops, our educational commitment suffuses every season. Fruitful collaboration with non-profits, small businesses, local artists and other like-minded community organizations is also a key component of our vision. On mid-winter weekends when the garden center may otherwise be quiet, guests pour in to learn and wander the aisles, experiencing the greenhouse at every stage of the year. When classes let out, our staff continues the conversation, equipping guests to take the next step toward their gardening and landscaping goals. Classes often have a symbiotic relationship with sales, but when guests discover that we are not only offering an outstanding product but also creating a meaningful experience, they make us part of their lives. This lasting relationship with our guests and with our broader community is our heartbeat. Strangers quickly turn into familiar faces and soon become friends. Families make an annual tradition of our signature events, applaud their children’s holiday music performances on our stage, and nostalgically show us a decade of their Santa photos. We are not just about gardening: we are part of the community. Excellent classes are not always made by what’s new but by what’s timeless. In January, a beekeeping class overflowed to 135 guests of all ages. Weeks later, over 50 attended classes on foodscaping, beginning vegetable gardening and soil preparation; over 70, xeriscaping and Japanese beetle classes; and over 90, classes on xeriscape plant selection and tough Colorado trees and shrubs. Many guests linger for multiple Saturday classes and return the following weekend for more. “The best part of this class was the instructor!” is a frequent comment on class evaluations. Finding outstanding instructors who are both experts in their field and engaging in their presentation is crucial. Some of our most dynamic, high-quality guest instructors develop a loyal following. Several of our garden center staff also teach wonderful seasonal classes. A few years ago, one of our garden supplies supervisors began offering lawn care mini-classes at the department help desk; a few weeks ago, he greeted a classroom audience of 78. “The amount of knowledge that walks out of here every day is incredible,” exclaimed one of our nursery staff who taught his first class this spring. We are indeed fortunate to draw in such a quality audience that is eager to learn. As I often enthuse at the beginning of class, we would not be able to offer classes without our guests actually attending! They energize what we do. Our company’s inner character also sustains a profound outward commitment to our community. What began eight years ago as a vision for expanding our educational reach beyond the walls of the greenhouse seeded our signature Community OutReach program. 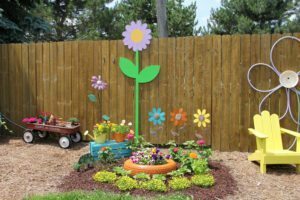 Featuring the engaging, down-to-earth expertise of our Garden OutReach Ambassador, we serve hundreds of garden clubs, community groups, businesses, special needs programs, home educators, HOAs, charitable organizations and more. 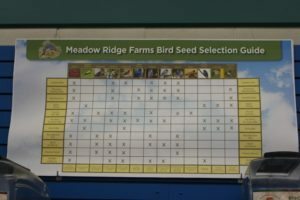 OutReach welcomes groups at the garden center and also takes educational programs to off- site locations throughout the area — and as far away as Virginia. Through Community OutReach, we also work with thousands of children from area schools. Without a compelling connection to the soil that grows our food and the animals that share our world, some children believe that food comes from a grocery store. During these lively OutReach field trips and workshops, we help children connect tomatoes to pizza sauce and accomplish what may otherwise seem unthinkable — getting their hands dirty, touching a live worm and learning that honeybees need our help. Amid the seasonal demands of a working greenhouse, offering year-round classes and events requires extensive teamwork, communication and flexibility. Throughout the year, we rely on the support of every department and its staff. Classes also require a dedicated space — a remarkable commitment for a business in which every square foot counts. In January, the classroom and stage area are situated in the rose department; in February and March, our event space sprawls into the annuals department. Through mid-March, our winter party room suffuses the perennials area with gauzy butterflies and tulle. By spring, our classroom returns to its designated 1,200 square feet space, where it remains through late fall. Even during peak season in May, we carve out 2,400 square feet for our Mother’s Day Open House event and stage area. Facilitating events and classes for both public and private groups also necessitates dedicated year- round staff. In 1984, we had only seven employees at our company; in 2017, we have as many involved just in our Events, Classes, OutReach, Donations and Fundraising Departments. Investment in marketing, advertising, guest instructors, audiovisual equipment, chairs, tables and other resources is an additional reality. When budgeting for these costs, a mindset toward the long-range benefits is essential. Our community’s trust and loyalty is our greatest asset. We do our utmost to safeguard that trust — and with it, our business’s future. We work exhaustively to understand and prepare for the inherent risks and liabilities of multifaceted events and private gatherings, encouraging visiting groups to take shared ownership with us in protecting this place we all love. From the beginning, we have dreamed to become a destination with a unique experience — the Tagawa experience. If our guests discover a vibrant, welcoming learning community every time they walk through our door, we create a meaningful present and build a promising future. How might you develop or enlarge your educational vision for your own setting? Come join me at Cultivate’17 and be inspired to enhance your business by deepening your impact on your community. Lindsay Chrisp is the events and community outreach coordinator at Tagawa Gardens. She can be reached at [email protected].